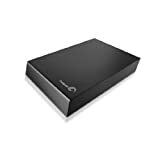 Amazon has the (OLD model) Seagate expansion 2TB 3.5-Inch desktop external hard drive usb 3.0 (STBV2000100) for $109 with free shipping. Sells for $109+ Highest Price. Deals for $72 Lowest Price. Normally $87+.